After ascending to as high as No. 9 in the polls just a few weeks ago, Florida State basketball is off to a rough start in ACC play. Two days after losing a heartbreaker at home to No. 1 Duke, the Seminoles suffered a second loss in three days on Monday night in a 75-62 loss at Pittsburgh. 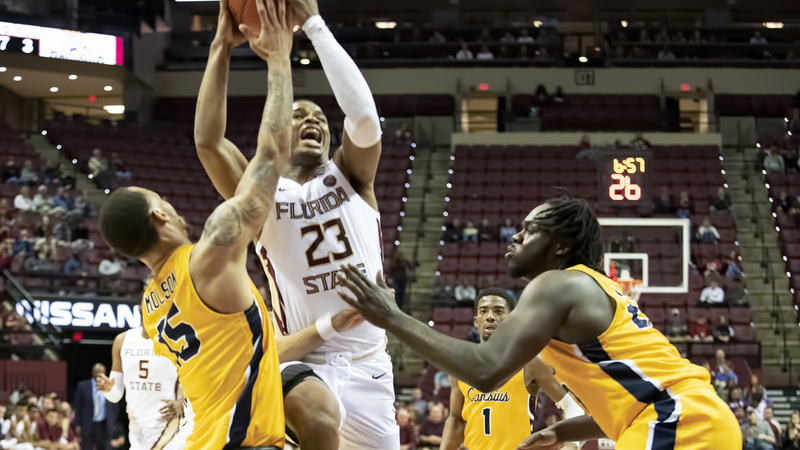 The Seminoles allowed the Panthers to attempt as many free throws and field goals (46) and managed to shoot just 2-for-22 from beyond the 3-point arc. 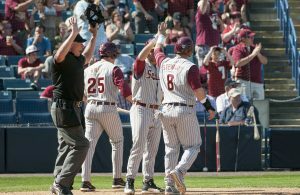 For a second straight season, the Seminoles are off to a 1-3 start in ACC play and now face a pretty important road contest on Sunday against Boston College. 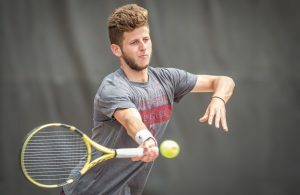 FSU managed to reach the Elite Eight last season, but the Seminoles are facing pressure earlier in the season than they would have anticipated. After the deep NCAA Tournament run a season ago, big things were expected of Florida State this season and to an extent, they still are. For FSU to come close to reaching its potential however, it will likely need bigger contributions from sophomore guard M.J. Walker. A 6-foot-5 former McDonald’s All-American, Walker disappeared for most of the latter parts of last season for the Seminoles. Struggling with consistency has again been a theme for Walker this season and since the early parts of January, he’s been nowhere to be found. It’s clear that Walker hasn’t been 100 percent, missing two games and playing in just one minute of the Orange Bowl Classic against Saint Louis on Dec. 22. But after scoring in double-figures in five of FSU’s first eight games, including 21 points in a 79-76 win over LSU in the AdvoCare Invitational, Walker has averaged just 3.4 points per game on 22 percent shooting. In four ACC games, Walker is averaging 4.3 points on 3-for-22 from the field and 1-for-14 from beyond the arc. The reason that Walker’s struggles are so important is because he probably has the most raw offensive talent of anyone on the FSU roster. Walker is athletic, can put the ball on the floor and is one of the few players on the team that can truly create his own shot. Through a season and a half however, the Georgia native has yet to put it all together. FSU still has a lot of talent, but Walker should have the most complete offensive game of any player on the roster. Guards Terance Mann and Trent Forrest both fill up the box score, but their lack of consistent shooting ability hampers FSU late in the shot clock. Senior forward Phil Cofer led the team in scoring last season and has good range, but he plays best within the flow of an offense. Guard P.J. Savoy, also a senior, has as much range as anyone in the ACC but is strictly a shooter. Mfiondu Kabengele, a sophomore forward, is having a stellar start to the season but hie still does his best work on the block and in the paint. 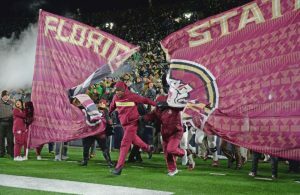 As the season goes on and the Seminoles continue to try to grind through a difficult ACC, it will need a go-to guy offensively late in games and with the shot clock winding down. Walker has the ability to be the guy, but his tendency to go quiet for long stretches is troubling for a player who plays the third-most minutes per game on the team. After averaging seven points per game last season, Walker was expected by many to make a significant leap this season. Early on, he had, but through 17 games, Walker is scoring just 7.2 points per game and doing so at a less efficient clip. Walker has seen his field goal percentage (.337), 3-point percentage (.333) and free throw percentage (.688) all dip this season while turning the ball over nearly twice as often per game.